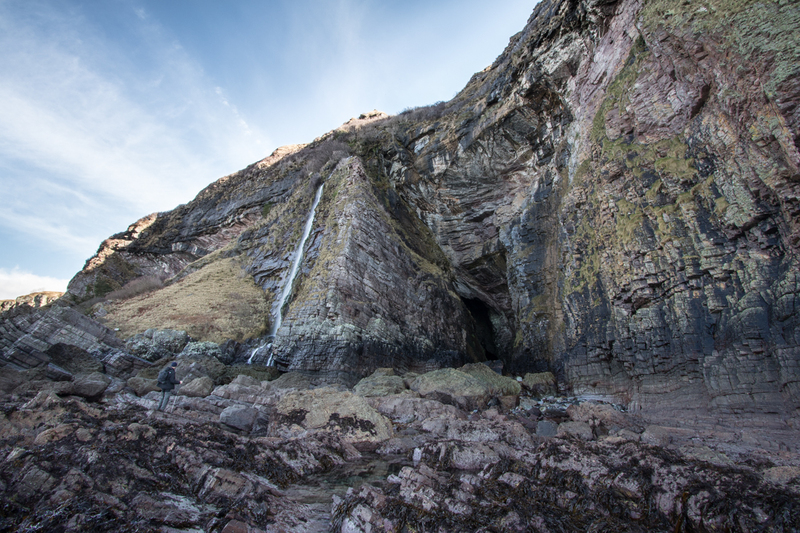 MacKinnon’s Cave is situated on the Isle of Mull’s west coast near Gribun. The area is dominated by sheer cliffs and very broken country that affords a great view of several important geological time periods. MacKinnon’s Cave is also said to be the longest sea cave in the Hebrides, at around 500 feet in length. A torch is therefore essential to explore the cave, and as the mouth of the cave is tidal you must consult the tide times before setting off and plan your visit on a low tide. Stand on a high point and gaze out to sea off Mull’s west coast and you will see them. A chain of mysterious, glistening jewels in the Hebridean sea that will set your pulse racing. The sense of anticipation of the wildlife gems they might hold is palpable. From Staffa in the south, up to the Dutchman’s Cap, onwards to Lunga and Fladda and finally to Cairn na Burgh Beg in the north, the Treshnish Isles archipelago will lure you in. Luckily for us all, they are not ‘forbidden islands’. We are blessed here on Mull and Iona with a variety of choices of ways to get to the Treshnish Isles and Staffa, with daily boat trips in season leaving from Ulva Ferry, Fionnphort, Iona and Tobermory. Skippers and crews who know these waters intimately will welcome you on board, provide a warming brew en route and set sail for these distant, enticing lands.